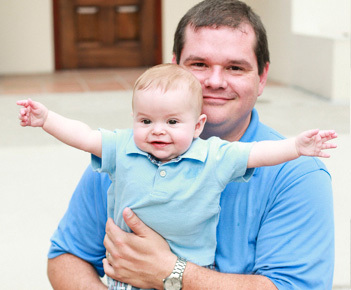 With over 15 years of graphic design experience, David Lunsford began Lunsford Design in January 2011. David’s broad experience includes motion video graphics, print (including catalogs, directories, brochures, billboards, magazine advertising, and large format print), website design, infographics, interactive media, and photography. Because David has such varied experience, he can work quickly and efficiently, providing the best graphic design services in a timely manner. In his free time David loves to visit Disney World, walk in the woods at his favorite park, or go mountain biking. David is married with five children, and he lives in Tallahassee, FL.